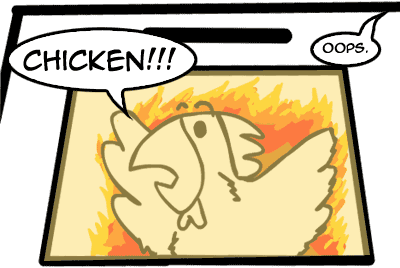 … and I actually thought to myself: That’s dumb, why would anyone put a chicken in an oven?! My poor brain. I think I’m overworked.